White Sox games are always an event in my family. It’s not just about baseball. It’s about friends, family, food, and so much more. My brother, dad, and my best friend from high school get together for a trip every year where we order 100 chicken wings, pack as much beer as we can drink in the parking lot, and tailgate until they kick us out. It’s not even really about the game as much as it is about the experience. This past weekend was not that trip. It was just my dad and I, but that didn’t stop us from having a few parking lot beers and needing food. We talked about bringing a grill, but we ended up deciding just to walk someplace and get sandwiches. 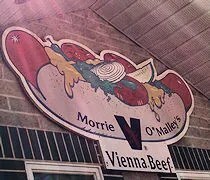 Our travels down 35th Street took us to Morrie O’Mally’s Hot Dogs. 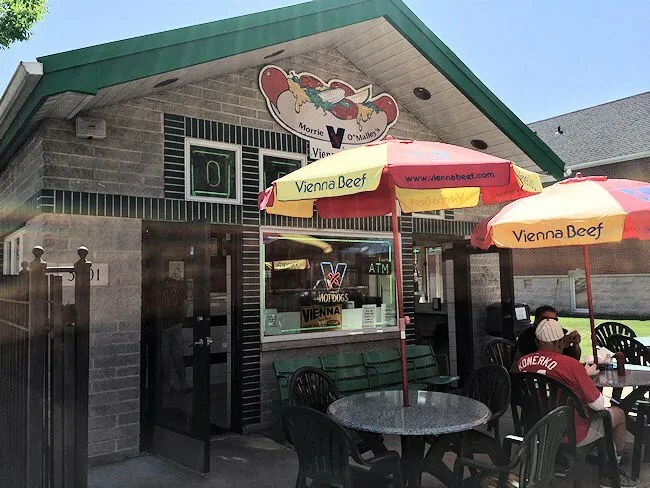 The small Chicago-style hot dog shack is on the corner of 35th and Union four blocks from U.S. Cellular Field in Chicago’s Bridgeport neighborhood. 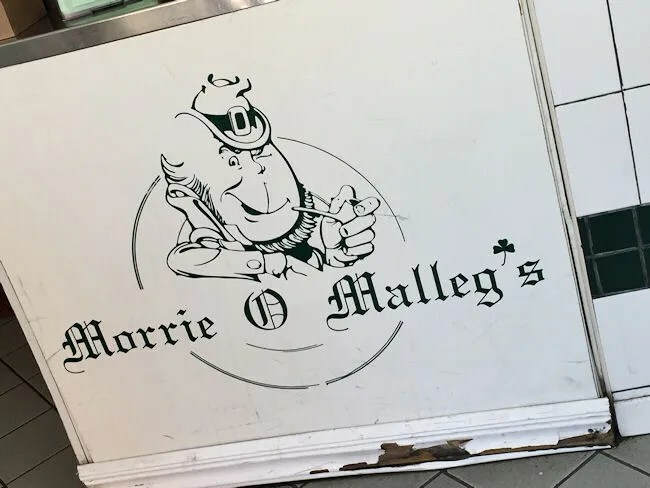 Like so many of the great hot dog shops in Chicago, Morrie O’Malley’s isn’t much more than a kitchen and an order counter. 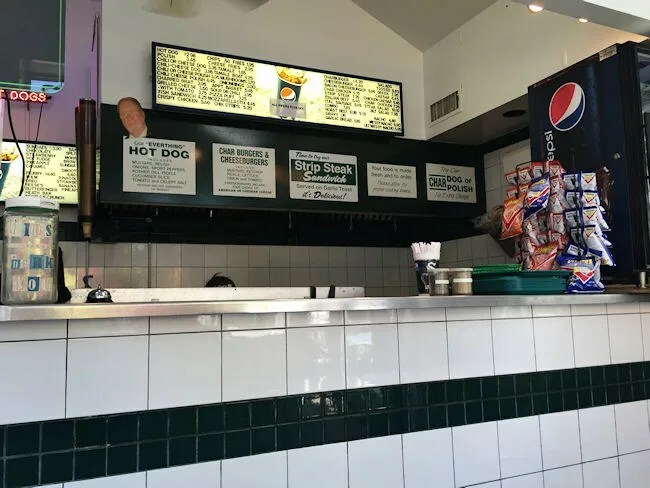 They have the traditional chest high counter that you can stand at to eat while looking out on to the street plus a patio with a few tables, but that’s about it. Morrie O’Malley’s has a huge menu of Chicago favorites. Yes, there’s the Chicago Hot Dog, but neither my dad nor I even really like hot dogs. They also have a Strip Steak Sandwich served on Garlic Toast that they are quickly becoming known for. That sounded good, but what do I always get when I go to Chicago? An Italian beef. Dipped and with hot giardiniera. My dad was in the mood for a Grilled Brat. Typically, they suggest mustard, grilled onions, and sauerkraut, but my dad is not a fan of the kraut. He asked for mustard, onions, and ketchup, but didn’t get any ketchup. No surprise at a Chicago style joint. We both added on an order of fries then I paid the $15. They don’t accept checks or credit cards, but there is an ATM in the corner if you need it. The restaurant had just opened when we walked in a little after 10:30, so they were still getting everything situated when we ordered. It still took less than ten minutes for a plain white paper bag to be put on the counter and my name called out. We had some beer in the car, so we decided to just walk back to the parking lot and eat with all of our soon-to-be-friends (because that’s how a Chicago tailgate works). I grabbed the bag and we walked the four blocks back to Parking Lot C on the north side of 35th Street. My Italian beef was perfect. When I got it unwrapped and tried to pick it up, the whole sandwich wanted to fall apart. It had been stewing it’s in own juices for about fifteen minutes now which made the crusty roll really soft and moist. 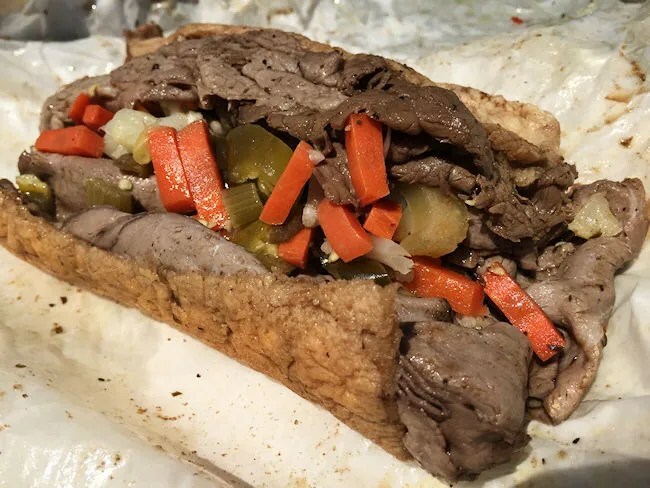 The meat was topped with a large helping of the giardiniera which gave it just a little bit of heat and the beef gravy had permeated the rest of the sandwich. My dad’s brat came in a steamed bun and had a nice char-grilled outer skin. He was a little bummed about the lack of ketchup, but powered through it anyway and still thoroughly enjoyed his grilled meat sausage. The fries were pretty simple thin cut restaurant fries, but they were still delicious and a good side. 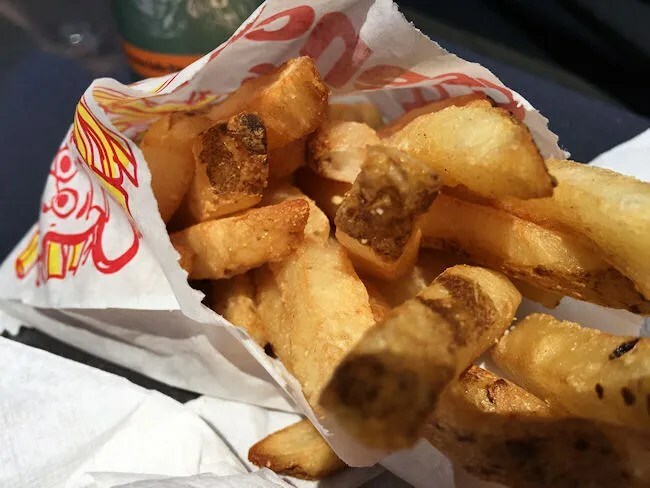 Much better than the typical crinkle cut you get at one of the bigger name places *cough*Portillo’s*cough*. Again, they forgot the ketchup, so my dad had to go without. There were enough tailgates around us he probably could have asked someone for some ketchup, but neither of us thought of that until much later. I love Morrie O’Malley’s Hot Dogs and all the places just like it in Chicago. It’s such a simple restaurant that puts up some big flavored food. It’s not a fancy place nor a household name, but it’s perfect place to pick up delicious foods before a ballgame on the Southside.